Cookie and I walked down to The Spot Market to check it out and see how the first weekend is going. Due to torrential downpouring on Friday – there was virtually no foot traffic 😦 I was told by a vendor today that things have picked up and that sales are starting to “pour in”! Hoooray! The energy is lively and the organizers let me take Cookie in (and she may possibly be allowed to sit with me during the event!) The vendors today ranged from toys – jewelery- clothing and a little bit of vintage. 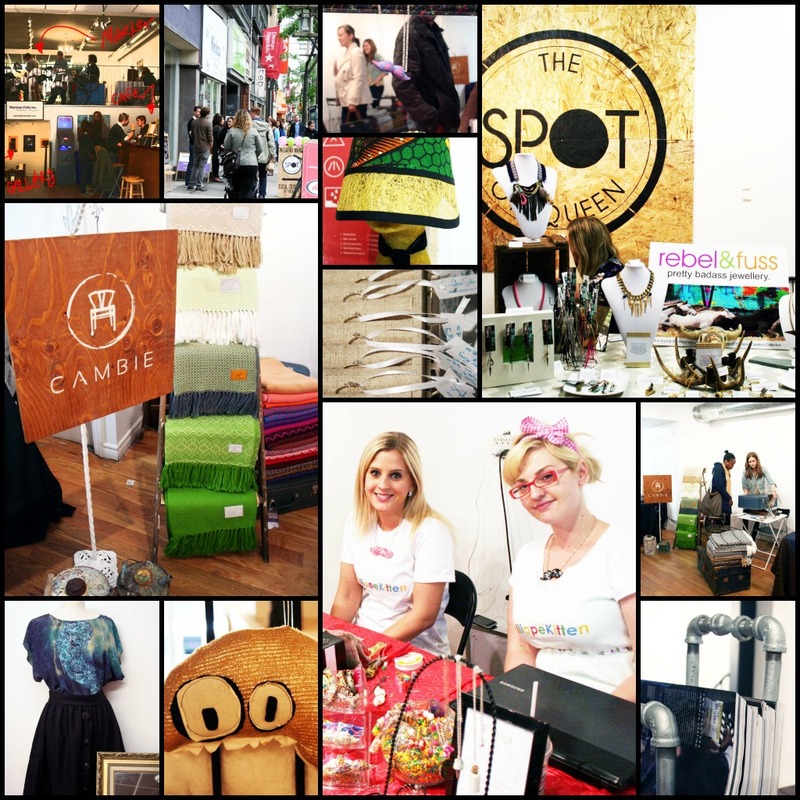 I fell in love with one vendor called CAMBIE. Her display was charming and she was selling vintage pieces from the East Coast of Canada (suitcases, sewing machines etc..) Her specialty is importing Peruvian textiles – how cool is that job?! She is detail orientated and her style reminded me of one of my favourite textile printers: Jenna Rose. I would love to collaborate with her in the future. All the vendors had cool stuff and their prices were affordable- what’s not to like about that? 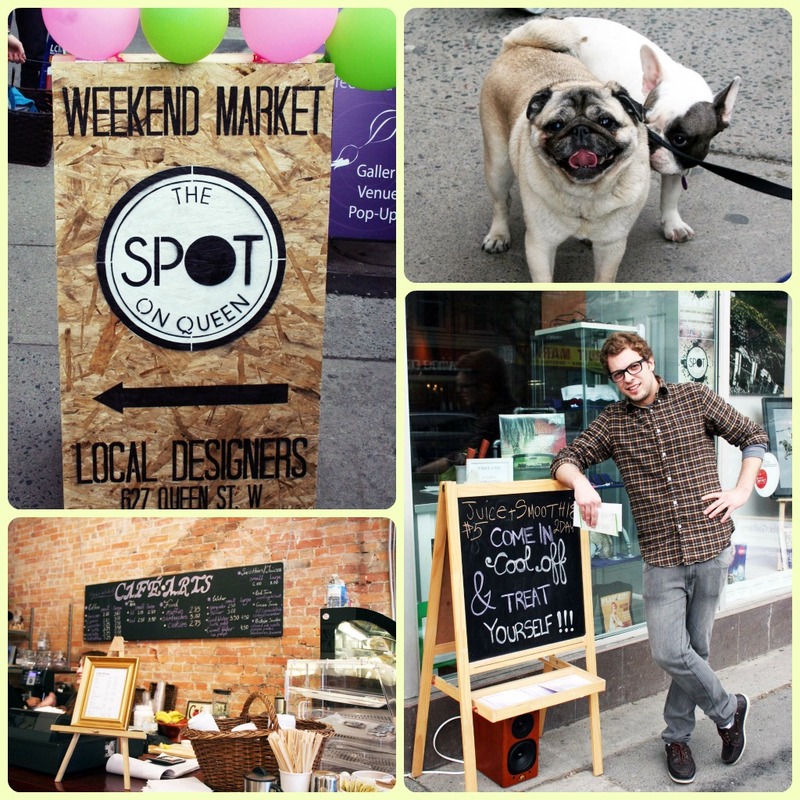 The Spot on Queen is open every Friday, Sat, Sun 11-6 pm. Hope to see you there! Great write up & photos! Thanks! Can’t wait to be there!